A tea with autumn scents and rich flavors of tree bark and camphor. 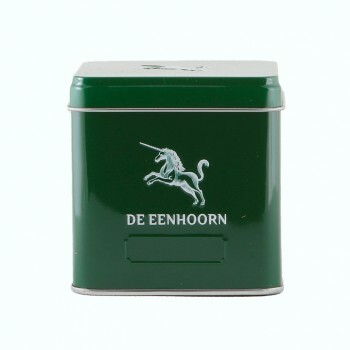 This tea is popular among connoisseurs of single malts and cigars. The Pu Er 1992 B is a black vintage tea from China. It is grown on a plantation in the province of Yunnan. Here it is grown according to traditional methods and especially selected by Madame Tseng for De Eenhoorn. A vintage tea is a black tea that is fully fermented and has to mature for a long time. 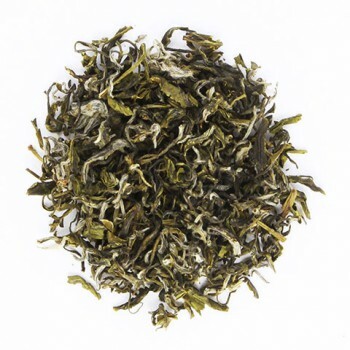 The Pu Er 1992 B is a variety with large gray-brown tea leaves that were picked in 1992. After picking the leaves dry in the air to extract the moisture, until they are flexible enough to be processed. They are rolled by hand to start the oxidation process. Then they have to ferment for a few more hours. After this, the leaves must ferment for a few more hours. Then the leaves are baked in hot air ovens and stored for years in barrels of clay to ripen further, just like old wines. The older, the better. This Pu Er tea can continue to mature for at least 30 years.